As international studies show, good mobility and movement control are important for the well-being of the human body. Lack of mobility in joints and muscles, hypermobility, semi-differences and motion disorder are common, but can increase pain and risk of injury. How to recognize, prevent and fix imbalance and restrictions in mobility? The Finnish TE3 innovation provides a turnkey solution for sports and rehabilitation professionals who want to help their clients with mobility problems. 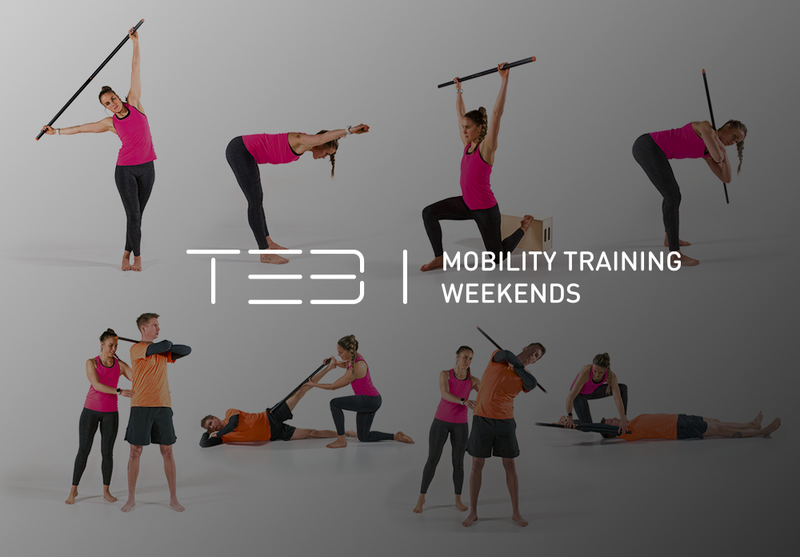 With our TE3 Mobility Solution including TE3 Mobility Stick, 13M Test and 24M Exercises, you can provide your clients a reliable and scalable solution to measure and improve their mobility. The solution is suitable for both average joes and top-level athletes. 13M Test and 24M Exercises have been developed together with Marko Yrjövuori and many leading sports and rehabilitation professionals from Europe and the USA. As TE3 Head Advisor, Marko Yrjövuori brings over 20 years of experience from professional sports field. He is a wellness and sports medicine professional, who has worked with the highest level athletes and teams in the world. 13M is a mobility test measuring 13 different body movements. The test gives a comprehensive, numerical analysis of the state and potential of your client’s body. Healthcare professionals perform the mobility test with the help of TE3 Mobility Training Stick, which helps to measure client’s range of motion with 1-degree accuracy. Finally, the analysis charts the semi-differences and compares the range of motion to the target values. The duration of the analysis is 30 minutes and your customer will get the result in writing. The participant will be certified and entitled to use the TE3 brand for sales and marketing for 12 months. Training, marketing materials and forms are included in the price of the education. 24M is based on 24 different body movements, which are corrective movements for 13M Test results.